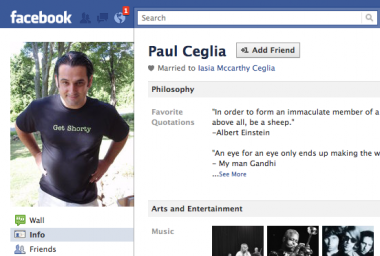 Paul Ceglia, who claims he deserves half of Facebook based on an arrangement with Mark Zuckerberg from 2003, has lost another law firm as his case continues. Edelson McGuire, which had only taken on the case within the last month, this week withdrew its representation, sources said. Edelson is the fourth law firm to withdraw, following DLA Piper and Lippes Mathias Wexler Friedman in June and Connors & Vilardo in April. Edelson McGuire partner Jay Edelson declined to comment on the case and said his firm was not representing Ceglia, referring further questions to Ceglia’s attorneys. Since then, the Buffalo News published a scathing profile of Ceglia based on interviews with his neighbors and classmates in Wellsville, N.Y.
Facebook has called Ceglia’s case a fraud and a scam, having deployed a private investigator, forensics firm and linguistic analysts, among others, to try to discredit him.